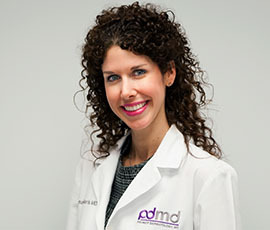 Donna Bilu Martin, MD, FAAD is a board certified Dermatologist who specializes in cosmetic, surgical, and medical dermatology. She attended The Johns Hopkins University for her undergraduate degree, The Johns Hopkins School of Medicine for her medical degree, and the University of Maryland for her residency in Dermatology. She was raised in Aventura, Florida. More more information on Dr. Bilu Martin, please visit our "Meet Donna Bilu Martin, MD, FAAD" page.